Quick Look plugin for Adobe Illustrator, InDesign, ASE, EPS, more. Is there a better alternative to SneakPeek Pro? Is SneakPeek Pro really the best app in Illustration category? Will SneakPeek Pro work good on macOS 10.13.4? 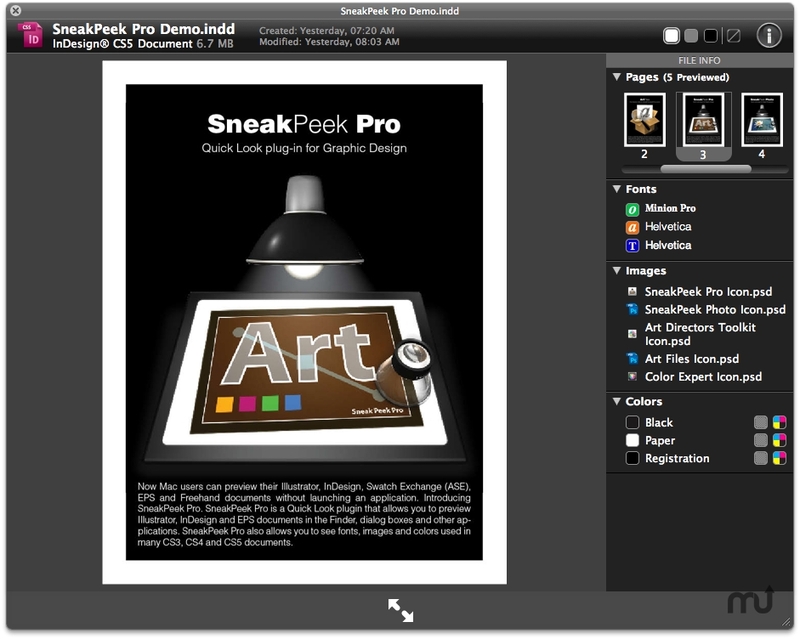 SneakPeek Pro ... Now Mac users can preview their Illustrator, InDesign, Adobe Swatch Exchange, EPS and Freehand MX documents without launching an application. Introducing SneakPeek Pro.